25 years since Wednesday, but time will not obliterate the memories of the hellish day for people living in Anglesea. The coastal village was destroyed by the fire on 16 February 1983, with about 132 homes in the town was destroyed and many others suffered severe damage. Three people lost their lives in the Otways and thousands of people, the painful memories. 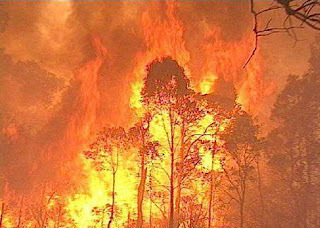 Fire experts said that the projected temperature 44c degrees north winds and severe fire danger worse than Wednesday. With sparkling turquoise ocean and recreational walking lazily in fish and chip shop for a solid fat at first glance did not show yesterday evening at an Anglesea was also concerned about the resumption of the terrible day. A company in the steep hills behind the city block and that was another story though. A singlet-clad man is busy cleaning the syringe. So busy that they do not want to discuss. In Jackson St, father of three David Kay says that he and his wife Tina will box the goods later in the afternoon to ensure they are ready if needed to get out quickly. They have all their children for what to do if things turn bad, and Mom and Dad happen to be away from home. Mr. Kay Jackson St parents own at home Wednesday after the fire, but remember that we had to wait until the next day to travel from Melbourne to see if their homes had survived for the brand. He said everyone was “very, very worried” about what might happen today. The Kays have no intention of stabbing around the defense of their property, as flames threatened. We escape from the safety of shore. In St Harvey, father and son Ian Ben Nancarrow number on their eyes, without having to worry about the prospect of a fire. We will press for their daughter and sister of marriage and now have more than one reason to hope that meteorologists forecast is wrong. Ian cut the grass and have a bag packed because it is always summer, if needed for a hasty exit. The Nancarrow bought their land in 1984. The Wednesday after the fire destroyed the previous owner of the house the previous year. Lance Avent lived in the city Wednesday, but the long member of the Anglesea CFA would rather keep the memories of the most devastating day. “We went to Marsh Quaestors fires and fought there, and Bill Bubb made the call will be home in Anglesea. The day was a mess after that. It scared all of us», said Avent. K. Avent saw many people lose their homes, but said that was one of the lucky. Fire threatened the home, but lost everything they had fencing, a cubby house and a barn. Mr. Avent said Wednesday that he was once in 100 years of fire. “What I am concerned we will not see again in our lives,” he said. Anglesea CFA former captain and member of the brigade for 45 years, was also Mr Bubb quiet yesterday. Anglesea He was much safer than today, in 1983, thanks to Parks Victoria cutting work had been completed. The grandfather of 10 said that they were well prepared for danger - had cleaned the syringe filled with water and the drums had a plan in place if something happens, but do not think that conditions would be another Wednesday. “With a little luck I think they are right, not a lightning round,” he said. Mr Bubb CFA was much better prepared, thanks to great advances in technology and equipment and said that if people took care to ensure they were prepared, had fallen much lower probability of action.